Note: Before you start, please be aware of the following limitation in IPSec preshared key (PSK) authentication mode: all connections from unknown IP addresses, including IPSec and L2TP roadwarriors, must use the same authentication method, and, in the case of PSK, the same secret. 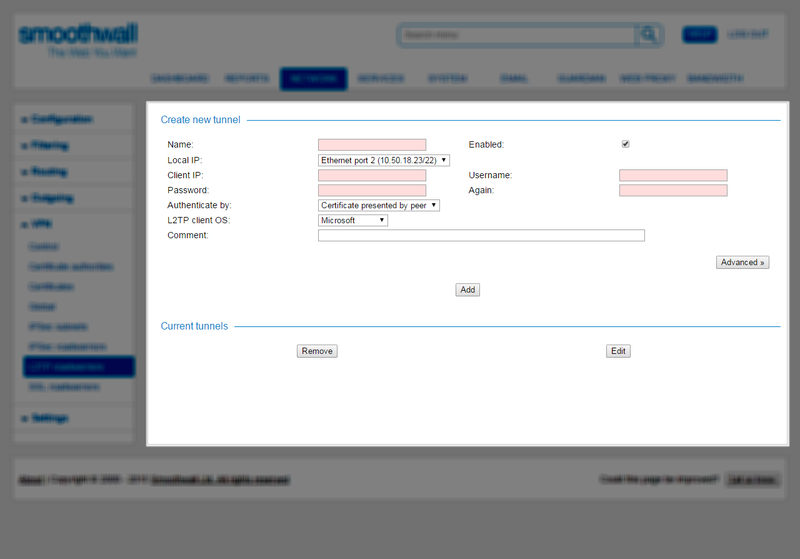 The first step in the connection process is to run the L2TP Client Wizard. Contact your Smoothwall representative, if you do not have access to the wizardYou can download it from here. It is a freely distributable application that automates much of the configuration process.